WOMEN'S SIZE 7. DAN POST BRAND BOOTS. 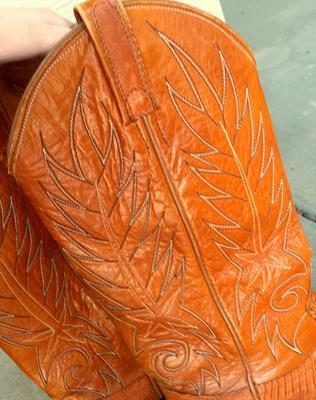 These beauties are 30+ years old, genuine leather, beautiful color. They are in great condition. Email me to buy these gems soon! Join in and write your own page! It's easy to do. How? 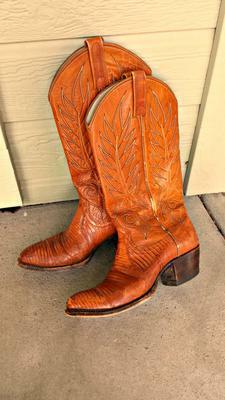 Simply click here to return to Used Cowboy Boots Information Exchange.